Studio Ghibli's Japanes movie posters for Poppy Hill are, surprisingly, underwhelming. They're very nice, and I'm more than happy to add them to my collection, but they appear strangely colorless, a little bland. This French poster is much better. It's nice to have some warm colors on display, and it delivers its teen romance plot more directly. This is the film's best poster yet, and I'm looking forward to what Australia and the UK will offer. Naturally, Poppy Hill has that typically Ghibli-esque nostalgia that only works in Japan. So many of their movies are set in the 1960s, to that first post-war generation, the emerging youth in the "new," Westernized Japan. It also just happens to be the same era that Hayao Miyazaki and Isao Takahata came of age. It's arguably the most common thread through the Ghibli films, welcoming this radical change, embracing it, while also questioning its values and its disregard for the mythic past. Those themes don't translate as easily to a Western audience. Fortunately, we can all relate to a coming-of-age story, so if we miss the specific cultural references, we can relate to the broader themes, the broader brushstrokes. Fortunately, Studio Ghibli is blessed with so many excellent movie posters. I think everyone should have one or two hanging on their walls. 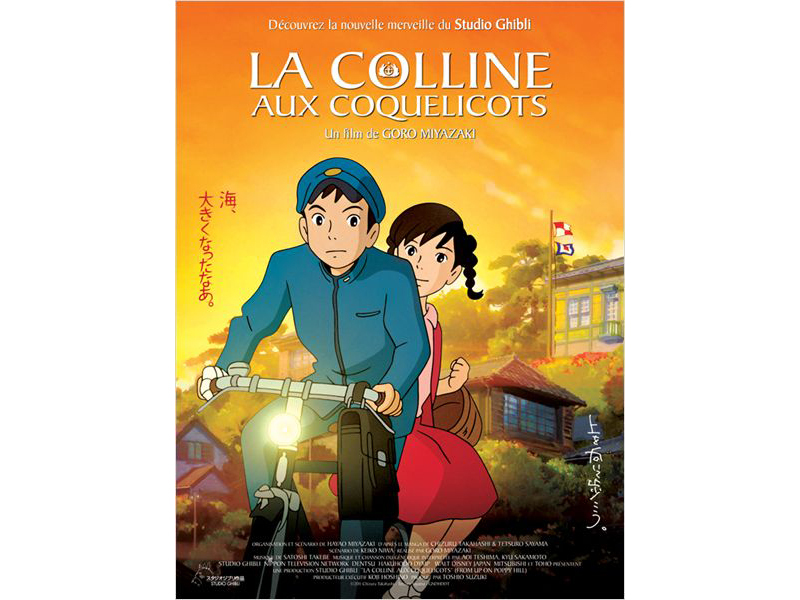 I put your link web on my blog, cause I can get news and information of the Ghibli Movie. I wish could visit of Ghibli studio. Totoro the one of my favorite movie. I watching was many times. All of Ghibli anime very awesome. I couldn't agree more, Ghibli posters are the best! This one is nice but my favourites have to be the ones for Laputa!